Have you got a great product but it’s simple not selling? Who actually designed your packaging and when was the last time you updated it? 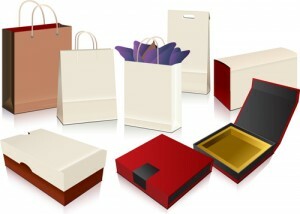 Do you find that people simply over look your product on the market shelf and go directly to your competitors product? If this sounds familiar and you find you self thinking that these scenarios sound very familiar, then it’s time that you got a professional packaging design Sydney agency to take a look at your current packaging, see why it’s not selling and make the necessary design amends to make it pop off the shelf. I know it’s a cliche but in today’s competitive retail space where the consumer simply has too many products to choose from and far too many places to buy them from ( and i am thinking the internet here, where anyone can do their research and shop through the millions of eCommerce websites), you product will have no chance whats so ever of selling if the packaging design is not literally screaming at the consumer: ‘ look at me, pick me up and buy me’. I know this is in it’s crude form but how often do you walk down the aisle of a super market and whilst looking for a product, you grab the first one you see that is the boldest, loudest and the brightest. Those products with plain, bland packaging are really going to have a tough time standing out. I might point out here that it doesn’t have to be the supermarket shelf. It can be a small business start up with a great idea and a super product and they are hitting the market through either ebay, amazon or their own website. If this is the case then the packaging design must also have that ‘eye popping’ effect on people. Simply put , it must cut through all the clutter and online noise if it is going to sell. There is really no point going to market with sub standard design and the problem many businesses face is that they tend to outsource their design to a cheap ( perhaps even an overseas) design company that has little pack or FMCG design experience and the end result is a shocking, shambles of horrific design. They choose these agencies purely based on price with no regards for the consequences or how this design will engage with the consumer. Essentially, cheap packaging design equates to poor sales. So if you have a product and you feel that it’s not selling as well as it should be, please get in touch with the team of experts packaging designers at Hopping Mad Designs. It really doesn’t matter what niche you are in (pharmaceutical, food, clothing, cars, sports, make up, beauty, children’s clothing, toys…basically anything) HMD can produce the kind of designs that are going to make you product literally leap out off the shelf smack bang into the consumers eye.